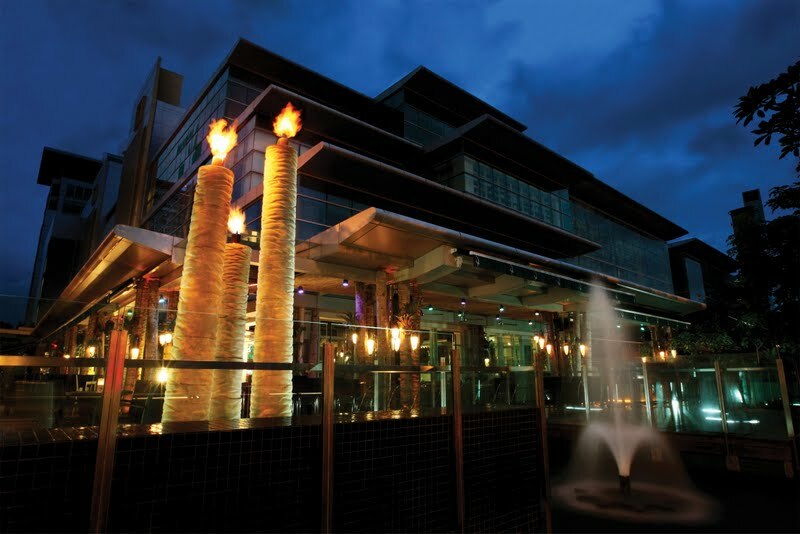 WIP, Bangsar Shopping Centre: WIP Unleashes New Gastrobar Menu with Marqués de Cáceres Wines! Once Work in Progress, now Whipped Into Place! WIP has whipped up a new gastrobar menu that will stretch the limit of gourmet appetites. One of the hottest hangouts in Bangsar, WIP is the place to be seen and heard! The 3 year-old gastrobar showcases an urban-tropic garden concept inspired by the relaxed elegance of Nice, France and Santorini, Greece. Several unique custom crafted features such as the clam shaped island bar, firefly pendant lights, palm tree trunks, etched bird mirrors and alfresco garden together with the inherent use of 5 elements of nature spawn a gorgeous contemporary ambience tinted with Mother Nature. With the gentle sound of water flowing to the glowing flames of fire lighted on torches and it’s mixed of wood and metal furniture, one can easily settle comfortably into the warm surrounding that is airy and spacious. Classic ballads belted throughout the restaurant in the background while the chatters and laughter of guest are gently mingled into the ambience. The night was hosted by the owner, Michelle Kwok and the Brand Ambassador of Marqués de Cáceres, Xavier Vicente. As always with the restaurant group, WIP is dressed to the nines, this round featuring autumn colors contrasting against its dark table placement beautifully. One can expect nothing short but the very best of its creations from the WIP restaurant team! Hearty, robust flavours and portions of luscious cuisine have become the signature of WIP and draws from the versatility of having 4 kitchens, namely Western, Asian, Northern Indian and a Pizzeria. WIP has recently refreshed their Gobble menu and features over 30 new dishes, ranging from salads, bar snacks to mains and dessert. The evening was jazzed up further with the pairing of the exceptionally aromatic wines from Marqués de Cáceres of Spain! Marqués de Cáceres featured its collection of Spanish wines from Rioja Alta. Founded by Enrique Forner in fulfillment of a family tradition of dedication to wines and assisted by French oenologist, Emile Peynaud, Mr. Forner settled the Bodega in Cenicero where he established conditions with local growers to produce quality grapes for his collection. By using entirely modern methods of elaborating wines, a cellar with mainly French Oak was provided, enclosing oak barrels much younger than those normally used. In line with modernization, Marqués de Cáceres has complemented its range of red wines with Gaudium and MC, which represented the highest and most advanced expression of viniculture and oenoligical potential of the Rioja Alta area. Mr. Xavier Vicente, Brand Ambassador of Marqués de Cáceres, was present that evening to introduce the Spanish wine of the Marqués de Cáceres Collection. The evening started off with a Gobble menu of downsized bar snacks of Cajun Grilled Prawns, Spicy Crab Cake and Stuffed Mushroom. Crafted to complement their signature cocktails and brew, these tasty morsels were not too light or too heavy for those seeking just to graze. From creamy prawns on crackers with mustard dressing to spicy tinted mini crab cakes and earthy juicy mushrooms, it was an addictive starter, especially when accompanied by their new cocktails! The mixologists behind the Clam Bar have also been busy at work concocting new cocktails to spice up the Guzzle menu. Notable creations to sip on are the Asam Boi Mojito, Grand Mojito, Just Mike and Mighty Beachy. Leading the new creations is Mession, our mixlogist that came up with the imaginative cocktails under the new menu. The first tasting plate was an ode to our Asian heritage featuring Opor Daging, Wokked Black Mussel and Red Curry Duck. All three dishes were individually delicious! Opor Daging had tender beef cooked in a creamy and spices laden curry crowning soft glutinous rice. Red Duck Curry showed another side of curry with its less creamy version with a spicier heat but mild on the palate. This one was paired with fragrant red rice. Wokked Black Mussel was a favorite among us as the delicate bivalves was wokked up with Thai basil, chili, and asparagus and served with golden fried Chinese Mantou to mop up the sauce. A little spicy, a little creamy, the savory flavors enhanced the oceanic flavors of the mussels! The Asian plate was paired with a young white wine, Marqués de Cáceres Blanco. My favorite wine of the night was absolutely smooth and refreshing on the palate. I could taste the bold citrus and clean notes that perked up the Asian flavors beautifully. Good length and simply divine, this was a lovely unsuspected one for a young wine! Northern Indian was the theme for our second tasting plate, featuring Deer Masala, Wholemeal Naan and Chicken Maglia. Expect heavier spice laden dishes as the Deer Masala was spicy and robust. The deer meat was fork tender from the long simmering of the dish. While both curries are enjoyable, the wholemeal naan was a wee bit dense, unlike the fluffy naan I am used to. Chicken Maglia had boneless chicken thighs cooked in a mild creamy sauce served with a delicious vegetable side dish, pappadum and raita sauce. One has the option of naan or briyani rice as accompaniments. Marqués de Cáceres Rosado was teamed up with the second course of Northern Indian fare. The Rosé was my second favorite of the night as it had a good burst of berries that linger on as one sips it. The beautiful coral pink color was very pleasant on the eye, leading our senses on a hint of romantic notion when savoring the Rosé. Our third tasting plate took us to the Western side of the globe, featuring Branzino, Beef Quesadillas, Kerabu Shrimp Pasta and Chicken Chimichanga. The Mexican dishes of Beef Quesadillas was a wedge of hot cheesy flour tortilla stuffed with beef and corn over a spicy tomato salsa while the Chicken Chimichanga was deep fried tortilla rolls of chicken and cheese. A Fusion dish of Kerabu Shrimp Pasta had strands of fettuccine pasta tainted with local herbs of lemongrass, distinctively fragrant kaffir lime leaves and ginger torch. This one was tweaked to mimic our local kerabu salad. Branzino, a barramundi fillet, was pan seared for a crisp skin and dressed with a creamy bisque sauce. Potatoes and vegetables accompanied the fish as its sidekicks. The fish had a firm and sweet flesh that was almost good enough on its own. A bold Marqués de Cáceres Crianza was served with the Western course. The red had a soft fruity note with a hint of spices. Silky tannins are noted throughout the tasting of the wine, perfect with meat and poultry. Dessert course featured classic favorites of Pavlova and Lava Cake with Ice Cream. Indescribably sinful chocolate cake with a light dose of molten chocolate center is savored lusciously with vanilla ice cream while the fabulously light Pavlova was delectably sweet and fluffy. The crisp meringue coupled with cream and berries provided the lightest finish to our meal. Rounding up the wine tasting list was Marqués de Cáceres Reserva, an elegant red with a bouquet of plums and berries, pairing up very well with the chocolate and berry desserts. Full flavor and good length for a red! Chef Aziz is the chef responsible for the new menu. The bubbly and friendly chef was a charming fellow! 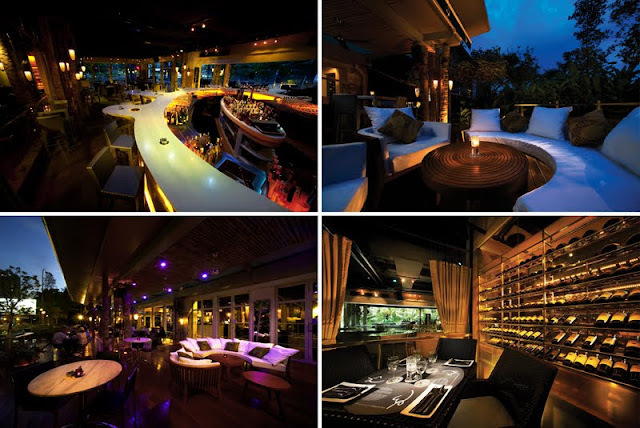 With a new gastrobar menu that offers exciting dishes and heavenly cocktails, coupled with its gorgeous ambience, WIP is definitely a winner for fabulous parties, unforgettable celebrations or simply a place to relax, unwind and dine at some of its gastro creations! Be on the lookout too for special brunches happening every Sunday at WIP. A Flamin Good Time is for those with a carnivorous streak who are able to enjoy unlimited servings of a fine selection of meats and seafood barbequed to perfection. Complemented by a salad bar, it’s available at a special price of RM80++ per person. Those digging into the barbeque may guzzle down refreshing glasses of Classic Mojitos for RM10++ per glass. But if you prefer to relax on Sundays whilst sipping fine champagne and wines, try Swirl & Sip where one may indulge in unlimited glasses of Lanson Black Label champagne and wines for 2 hours. This special promotion also comes with a specially created Chef’s Platter and is priced at RM197++ per person. These 2 special brunches alternate every Sunday, so do call ahead to enquire. 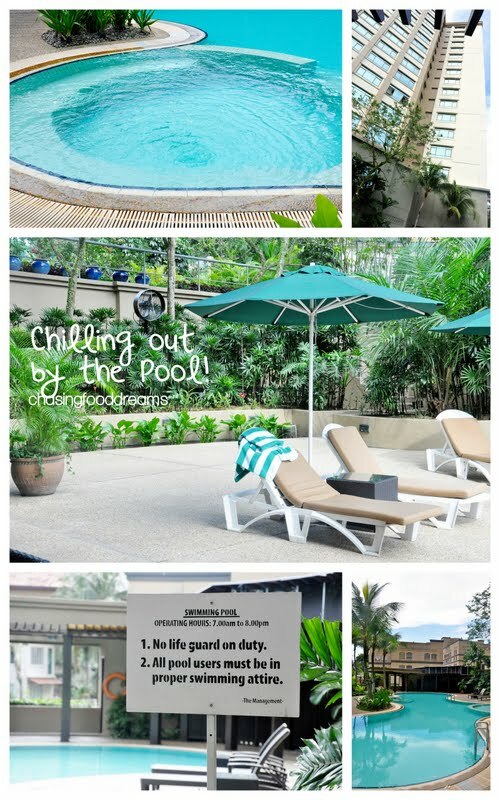 A Pleasurable Weekend @ Eastin Hotel Petaling Jaya! 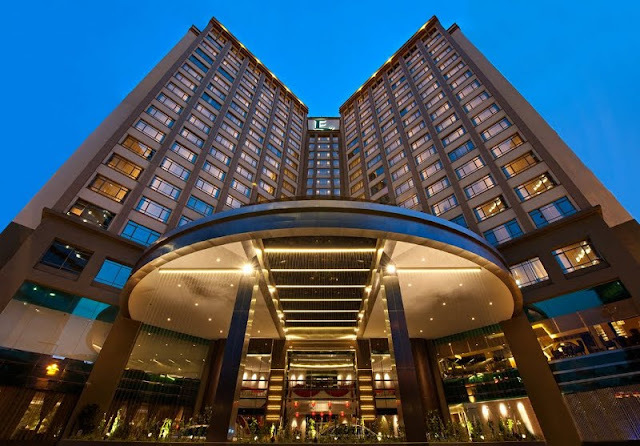 Nestled in the prestigious business and residential area of Section 16, Petaling Jaya is Eastin Hotel Petaling Jaya, the very first hotel to carry the Eastin Hotels name in Southeast Asia. Established in June 1998, Eastin Hotel has opened its door to guest for the past 12 years. Boasting an amazing 388 guestroom hotel, the hotel underwent a recent extensive renovation, giving a new face lift to ensure the ultimate offering to business or leisure guests! We enjoyed a hot Latte, juices and some tea snacks in the relaxed and plush atmosphere of The Lounge. Streams of water flowing in the back ground were indeed a nice touch for some R&R moments there. I headed up to the room to check it out while my family continues to enjoy their snacks! We had the Eastin Family Deluxe Suite, a two bedroom suite with separate lounge area featuring a King size bed and two Twin size beds. Everything was spaciously decorated and dressed in contemporary colors for a comfort ambience. The room is furnished with cosy lightings at night and let the natural light shines into the room in the day. The bed is crucial for me in every hotel stay as it is the essential part of any trip where I could ensure a good night’s rest after any trip. Our king size bed was firm and plush, while cloud-like duvets and the pillows were begging to be hug! A nice touch was the reading lights on each side of the beds where the light can be adjusted to maximize its purpose while keeping the glare only to the reader! The main bathroom was large, equipped with a long bath and a separate shower room with a walk-in wardrobe! A large glass window oversees a lush green garden. I had a really awesome time enjoying the long bath to myself. There was an additional bathroom in the lounge area of the suite. 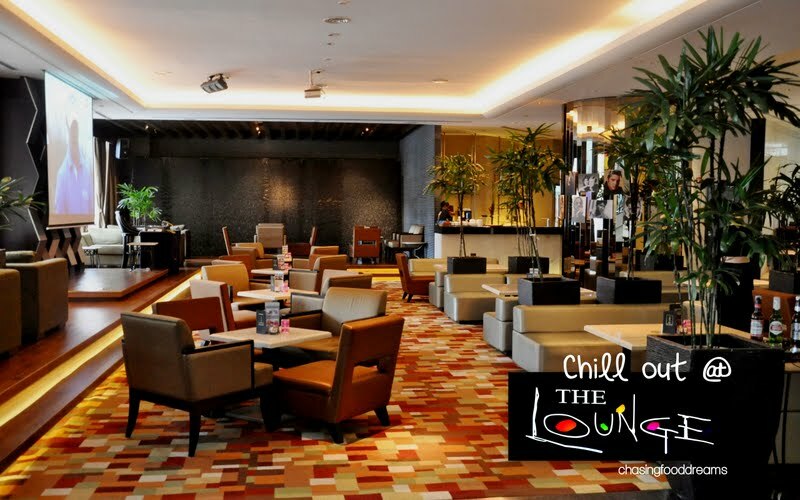 State-of-the-art LCD TVs with satellite and local TV Channels are available in the master and lounge area. 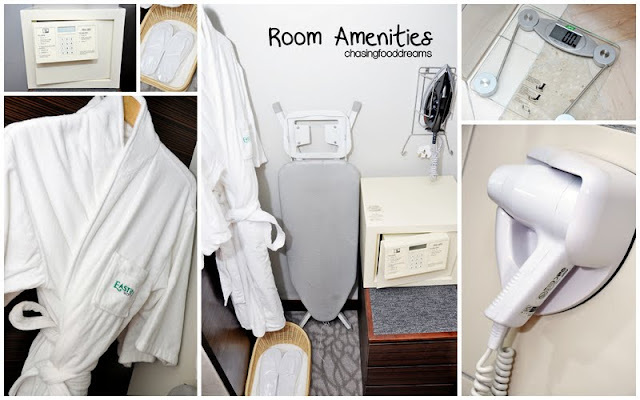 Basic amenities were present while additional luxury amenities like thick fluffy bathrobes, slippers, and digital scale was also available. An electronic safe box, complementary Mini Bar, and fridge were also available for extra usage. Complimentary Wi-Fi is another plus point for those who cannot life without the world wide web! While my family soaked up the R&R ambience in the room, I snooped around the hotel for a sight of its facilities. The landscape around the pool was a sublime oasis of sundrenched palm trees, blue waters, lazy lounge chairs and best of all, a haven of tranquility despite the hotel location. The curvy pool was shaded by the hotel and strategic built wood shades that ensure guests are comfortable. I just couldn’t wait to jump right into the blue waters of the pool that moment! Gym was small but sufficiently filled up with exercise machines for those who needs their daily health routine! On the way back to the room, I came across their ballroom and noticed that a wedding was in place that weekend! 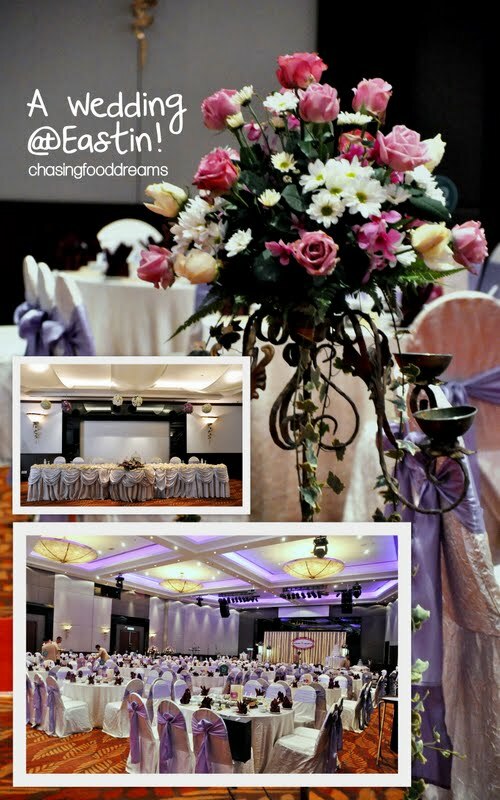 The ballroom was transformed into a palace of romance with loads of flowers and decors. Looking for a place for your upcoming wedding? Look no further, check out the one here! During our stay that weekend, we enjoyed the Eyuzu Japanese Buffet at the hotel tremendously. Read about the sumptuous Japanese fare here. My main tickle of this was the fact that I just had to sashay myself up to my room that night after the glorious fill-up of the yummy buffet! One should really experience this… hehehe! Before our dinner, we also had a lovely moment at The Divan together with some friends. The next morning, we had our breakfast at the Executive Lounge of the hotel. Told you we were treated like royalty! Stay tune for these posts. Checking out of Eastin Hotel Petaling Jaya was a gloomy one since my family and I enjoyed our stay very much! We hope to return soon as we really felt comfortable the whole time at Eastin. Service was very pleasant and I personally notice a lot of smiles everywhere in the hotel all the time. It was indeed a pleasurable stay at Eastin Hotel Petaling Jaya! Room rates ranges from RM600++ to RM900++. For more information, please log on to www.eastin.com. *Thank you Eastin and Anna for the fabulous invite! To All The Moms In The World!